Pilates exercise is one of the safest forms of activity, yet it can also be the most demanding. The apparatus has been used for years in the most advanced orthopedic and sports-based rehabilitation clinics for injuries. Because you must use the whole body, you can’t progress to a higher level without uncovering isolated weaknesses and training them, thus your problem areas receive immediate focus. 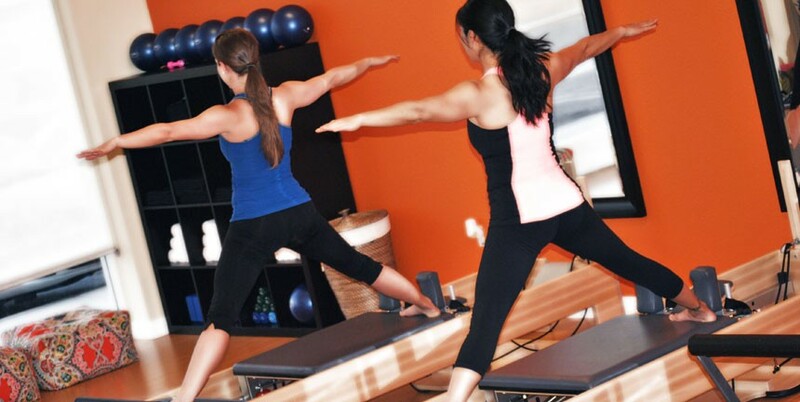 Why should I go to Pukka Pilates & Physical Therapy rather than a Pilates studio or gym? At Pukka, our Pilates and yoga classes are small, allowing the instructor to provide each client with focused attention to achieve maximum results. PMA-Certified Pilates Teachers/Registered yoga teachers/physical therapists teach all our classes, which ensures an appropriate and safe progression of exercises. Should I go to a personal trainer or a physical therapist? Physical therapists have 6-8 years of extremely rigorous and thorough education. We are knowledgeable about normal and abnormal movement, and trained in anatomy, physiology, and the musculoskeletal, cardiac, and neuromuscular systems. Because of this, there is no safer type of practitioner to work with and design appropriate exercises for your body. How should I prepare for my first Pilates session? Are there any forms I need to fill out prior to coming to my first session? If you are coming for a Pilates and/or Yoga session, please fill out our online registration form. If you are coming for a Physical Therapy session, please download these forms. Fill them out and bring them with you to your first session. Why should I go to Pukka Pilates & Physical Therapy for my rehab? Pukka utilizes the Pilates method as a means of rehabilitation for our physical therapy patients and those managing chronic conditions or recovering from an injury. 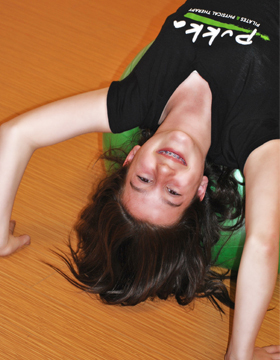 These programs are taught by physical therapists. This service is distinct from Pilates as a form of exercise, which we also offer at our facility. How should I prepare for my first physical therapy visit? Your time and recovery is important to us. So we can maximize our time together, your first step is to complete these forms and bring them with you to your first visit. Please wear comfortable clothing: camisole tops for women working on neck, shoulder or upper back issues, and shorts for anyone working on knee, hip, ankle or leg issues. Your physical therapist will take a detailed medical history and review your reports and medications. He or she will perform an in-depth physical examination, sharing all observations and results with you, and outlining a treatment proposal based on the assessment. Your personalized program will normally begin with some hands-on manual therapy treatment and Pilates-based exercise therapy, in addition to a self-care plan. We strongly emphasize empowering you with self-care and preventive strategies so the results achieved are ultimately sustainable. Manual therapy means the use of any appropriate technique that physical therapists are trained to do with their hands, such as soft tissue massage, myofacial release, joint mobilization, and muscle energy techniques. Pukka is an out-of-network provider. In-network plans typically use a managed care model where the licensed physical therapist may see you for a small portion of your visit, and a non-licensed aide supervises the rest of your appointment—but you are billed for the treatment regardless of whether it is performed by a fully trained, experienced and licensed therapist. This is not the type of treatment we provide or wish to provide. At Pukka, a physical therapist treats you during your entire 1-hour appointment. What does this mean to my recovery? Unlike patients who are limited to traditional in-network programs, your evaluation and treatment plan are completely customized to your needs, and therefore more efficient and effective. As a result, in most cases your care and recovery from injury can be managed faster with fewer visits. Do I need a physician’s prescription or referral before receiving treatment? No. In California, clients may go directly to a physical therapist for private pay without a doctor’s referral or prescription. Can my teenage athlete benefit from treatment at Pukka? Treating athletes, dancers and gymnasts while they are forming movement patterns is extremely beneficial, as they can learn about their individual structures, movement patterns, weaknesses, and strengths. The uniqueness of incorporating Pilates apparatus for training these athletes provides a means for creating proper neuromuscular patterns of movement, in a realistic fashion, that simulates their individual sport. In addition, physical therapists can prescribe and teach appropriate strength and stretch exercises after performing a thorough evaluation of posture, alignment, flexibility and strength.